Whether you're seeking that special romantic weekend get-a-way or a relaxing family vacation, there are plenty of amenity rich resorts and rentals to choose from when visiting Sarasota. Most of these beachside resorts, located near the water's edge on Siesta Key, Lido Key and Longboat Key, offer condominium-style rooms with full kitchens, swimming pools, Wi-Fi access, and close proximity to area restaurants with nightly live entertainment. For your convenience, we have listed many of Sarasota's beachside resorts and rentals on this page. Just enter your travel dates to view the rates. Welcome to Our House at The Beach. Our amenities include tennis, grill area and a heated pool to compliment your condo featuring fully equipped kitchens, turnkey furnishings, washer/dryer, and internet. Acclaimed as the Number One Beach in the United States. Noted for "The Whitest sand in the world", set your sites for your next vacation at Our House At the Beach! Welcome to a paradise where bliss surrounds you in the form of serenity, sunsets and the shore. We are a fully renovated, Caribbean-style resort that caters to your tropical escape. If you're looking for relaxation, there's not a more suitable destination. Welcome to the Inn on Siesta Key. Here you can experience vintage Florida with all of its coastal charm. Nestled in the heart of Siesta Key, our quiet oasis features six comfortable suites that are perfect for a relaxing getaway. The Inn is within walking distance to shops and restaurants in Siesta Key Village and we are just steps away from America's #1 ranked beach, located along the sparkling Gulf of Mexico. For a more secluded alternative, unwind by our heated pool. Welcome to The Ringling Beach House on Siesta Key, a Siesta Key Suites property offering updated accommodations - Brand New Carpet, Tile, Paint, Bedding, and Decor!. Stay here and Walk to EVERYTHING - steps to the beach, shops and restaurants. Come and escape! Our units range in size from efficiencies to adorable 3 Bedroom/ 2.5 Bath units with full kitchens, all the comforts of home in Paradise - Just bring your bathing suit - we will take care of the rest! Welcome to Siesta Beach Resorts and Suites. Our convenient location is ideal for relaxing without the hassle of driving. 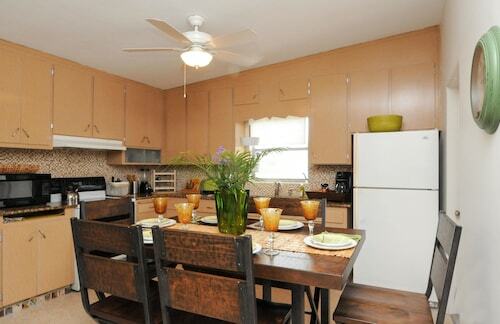 We are walking distance to everything from village shopping to indoor or outdoor dining. We are the perfect place for business and pleasure travelers alike, with conveniences such as guest laundry, WiFi, cable tv in room, vending options, and our heated pool and jacuzzi. 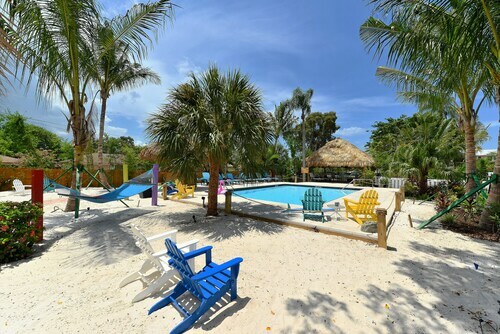 Welcome to Siesta Key Palms Hotel, our rooms are nestled among hammocks and two tropical outdoor pools. All rooms include a small kitchenette with stove, oven and kitchen supplies, pull out sofa beds, flat-screen TVs, safes, cable channels, upgraded "quiet air units", free amplified WiFi throughout the property, and queen size beds. Welcome to The Cottages at Siesta Key. Whether you are looking for a romantic getaway, a relaxing weekend, a family vacation or a wedding, reunion or other special event, we can fit your needs. Our 13 cottages range from cozy studios to a spacious 3 bedroom cottage - most with full kitchens - and we can accommodate up to 54 guests when you book all 13 cottages. 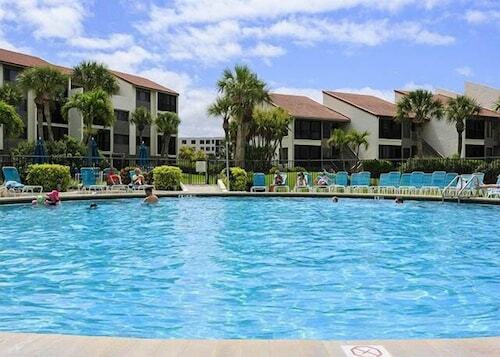 The Capri at Siesta is your ideal choice for Sarasota & Siesta Key Beach hotel rentals for that romantic weekend get-away or a week of sun and fun. Enjoy one of our freshly renovated condominium-style rooms featuring full kitchens, brand new beds; 42" flat-screen TV's and much more. White-sand quartz beaches combined with a beautifully decorated, modern resort creates a chic, beach destination on Siesta Key. The Beach Club at Siesta Key offers studio, one- or two-bedroom units, just steps from the Siesta Key beach. Each unit features a full-size kitchen with stainless steel appliances, private washer and dryer, large flat-screen LCD TVs, Wi-Fi Internet access and iPod docking stations. Siesta Dunes Beachfront Condominiums offers guests a selection of over 90 Siesta Key vacation condo rentals. 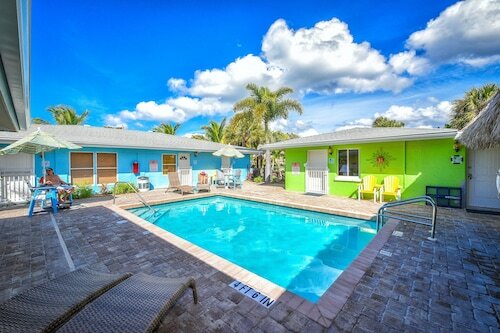 Our beautiful sandy beaches of Siesta Key along the Florida Gulf Coast are right out your door, and you'll also enjoy the pool and hot tub, beach deck and pavilion, tennis courts, club house, and plenty of restaurants and entertainment along Midnight Pass Road. Call us today and rent a condo on the world's best beaches. Looking for a quiet vacation spot on the best beach in America? The Island House offers a variety of apartments and villas located on Siesta Key's Crescent Beach, each with different features to meet your vacation needs. Overlooking the Gulf of Mexico, this vacation haven offers a serene place to stay with variety of activities. Full length heated swimming pool and Community House for games and recreational gatherings. We invite you to step into our tropical paradise to experience Siesta Key's magical charm. Unwind in one of our AAA three-diamond rated 1, 2 or 3 bedroom condo-style suites. Immerse yourself in the unique treasure of our small hideaway providing all the comforts of home without the responsibilities. Enter the secret garden to the heated pool and hot tub, barbeque on the grills and then stroll to the white sands of award-winning Crescent Beach. Welcome to the The Twin Palms Siesta Key Hotel. All of our rooms are comfortably furnished with kitchenettes, premium beds, and large flat screen TVs all with surprisingly competitive, flexible rates. In fact, we are one of the only properties on Siesta Key to offer both daily and weekly rates. If you're looking for a destination instead of everyday accommodations, Turtle Beach Resort on Siesta Key is your perfect fit. Here, we offer you a serene escape from reality; directly on the water's edge of Little Sarasota Bay, only a 3 minute walk to Turtle Beach. Our cottages are available in different sizes and styles of Tropical Paradise, each with its own private courtyard and hot tub.